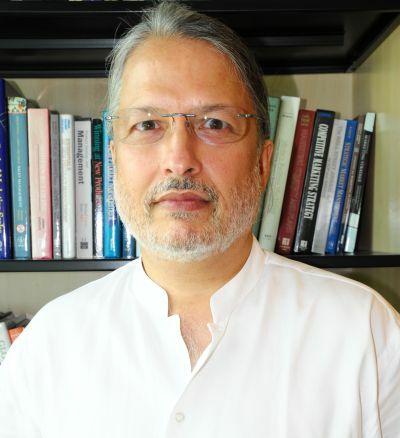 Amitava Chattopadhyay is the L'Oreal Chaired Professor of Marketing-Innovation and Creativity at INSEAD. His research has focused on branding, communications, creativity, and new product development, and has appeared in several journals including the Journal of Consumer Psychology, Journal of Consumer Research, Journal of Marketing Research, Journal of Marketing, Marketing Science, Management Science, and Long Range Planning. Currently, he is working on a book on international brand building by emerging market firms. Amitava is Associate Editor at the International Journal of Research in Marketing and is on the editorial review boards of the Journal of Consumer Psychology, Journal of Consumer Research, Journal of the Academy of Marketing Science, and Long Range Planning. Amitava has developed and taught courses on branding, marketing strategy, communication strategy, consumer behavior and marketing in emerging economies. He has taught in executive programs in Europe, The Americas, Asia, Australia and Africa. He is on the advisory boards of several companies and a consultant to multinational firms. Amitava's involvement with ACR dates back to 1985 when he made his first presentation at ACR as a doctoral student. Since then, he has been regularly involved as a presenter, discussant, special session organizer, conference program committee member, and reviewer. He has also served as a member of the ACR Advisory Board from 2002-2005. The Perspectives Director (Academic-Industry) participates in and votes on all matters put to the ACR Board of Directors and attends the annual Board of Directors Meeting held at the North American conference. The Academic-Industry perspectives Director is responsible for representing the academic-industry perspective on the Board. Responsibilities include voting, budgets, recommendations to the Board, and evaluating grants and donations.